Capcom Reports Profit Growth Despite Resident Evil 6 And DmC "Failure"
Capcom reported a 45.9% increase in operating income for the first nine months of the fiscal year ending March 31, 2013, despite much lower than expected sales of both Resident Evil 6 and DmC: Devil May Cry. As of December 31 2012, Capcom’s nine month net revenues totaled almost ¥72.7 billion, up 44.6% year-over-year. Operating income for the period was up 45.9% to ¥9.8 billion, and net income shot up almost 105% to ¥6.6 billion ($70.9 million). The company’s Digital Contents division – which includes all of their console, PC, mobile and social games – pulled in ¥49.7 billion ($533.9 million) in net sales, up 39.2% year-over-year. The division’s operating income showed far less growth, and was only up 0.2% versus the same period in the prior fiscal year. 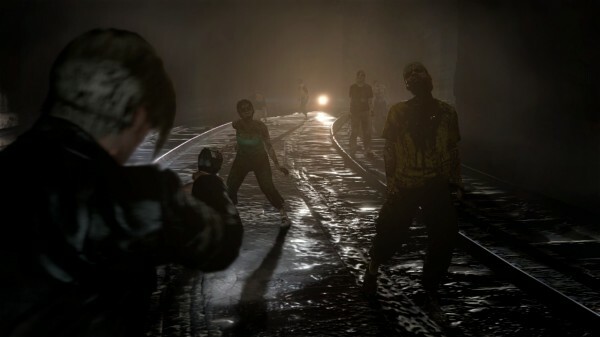 Confirming their previously revised sales forecast, Capcom noted that Resident Evil 6 has officially “lost its [sales] momentum”, selling 1.1 million units during the company’s third fiscal quarter. Life-to-date sales for the title now stand at 4.8 million units, putting it in fourth place — behind Resident Evil 2 (4.9 million), Resident Evil 5 (6.0 million), and the Super Nintendo version of Street Fighter II (6.3 million) — in the publisher’s all-time best seller list. Capcom also noted that they shipped 1 million units of Ninja Theory’s DmC: Devil May Cry in January, however, they do not feel as if they can maintain the game’s sales momentum. As a result, the publisher has lowered their sales forecast from 2 million to 1.2 million units. Offsetting the poor results of Resident Evil 6 and DmC: Devil May Cry, was stronger than expected Japanese sales of Dragon’s Dogma (with 1.3 million units in life-to-date sales) and the the discounted Monster Hunter Tri G Best Price! for the 3DS (with 1.6 million in life-to-date sales). Additionally, Monster Hunter Tri G HD for the Nintendo Wii U was said to be a “smash hit”, although exact sales numbers were not provided. With Resident Evil 6 sales leveling off it is not surprising that the publisher is considering taking the series in a different direction. Hopefully they take this as an opportunity to move the franchise back to its survival horror roots.